This is the group for all Begonia lovers to post their lovely Begonia wallpapers in. Gorgeous colors and such a wide variety of Begonia available combine to offer the most beautiful collection of Begonia Wallpapers. Information below will act as a guide for what to post. All are welcome. If you have picked up a six-pack of wax begonias at the supermarket to add to a flowering container on the front porch, you have barely begun to scratch the surface of the Begoniaceae family. Once you get a sampling of the more than 10,000 varieties under cultivation, your hunger to learn more about these easy-to-grow plants with succulent foliage will grow. Thank you for visiting my Begonias group. I hope you will consider joining my group and sharing your beautiful Begonia wallpapers with everyone. 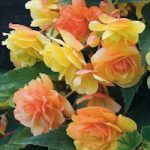 If you have picked up a six-pack of wax begonias at the supermarket to add to a flowering container on the front porch , you have barely begun to scratch the surface of the Begoniaceae family. Once you get a sampling of the more than 10,000 varieties under cultivation, your hunger to learn more about these easy to grow plants with succulent foliage will grow. Wallpapers must contain at least one begonia, which is prominently visible. Questions? Please contact me directly or post your question to my board and someone will reply a.s.a.p. Please no SPAM in this group. Spam will lead to banning from the group and reporting to Nexus. Page rendered with 6 queries (and 0 cached) in 0.07 seconds from server 48.